Professor Amy Rowat e physical and molecular origins of what we eat. World-renowned chefs and distinguished scientists will discuss the future of food at this year’s Science and Food public lecture series at UCLA. 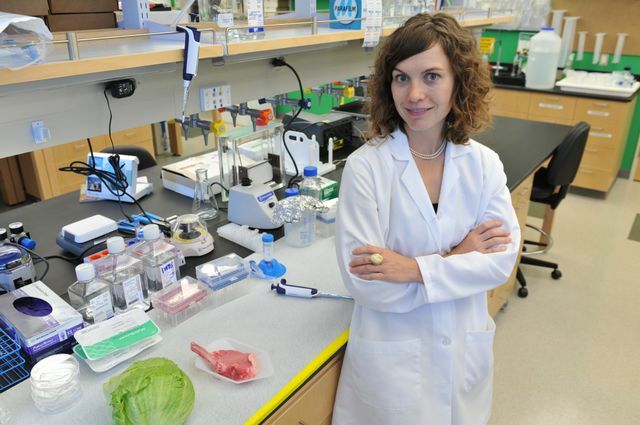 The events will be hosted by Amy Rowat, UCLA assistant professor of integrative biology and physiology, who teaches a popular course called “The Physical and Molecular Origins of What We Eat.” This is the program’s fourth year. Visit the program’s website for updates or to subscribe to the Science and Food mailing list, and follow Science and Food on Twitter. 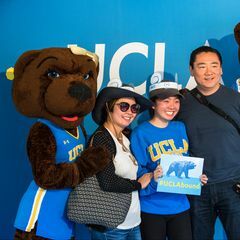 The events are designed to appeal to people who share a fascination with the science hidden in our food or who are simply curious to know more about the food we eat and cook, said Rowat, a faculty member in the UCLA College. As part of Rowat’s course, students explore such topics as texture and flavor from a scientific perspective and even participate in a “scientific bake-off,” in which they prepare apple pies and conduct experiments on their creations’ physical characteristics. 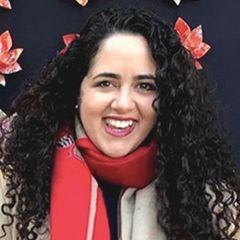 Rowat’s non–food-related research is primarily concerned with the physical properties of cells and tissues, which can indicate health or disease. 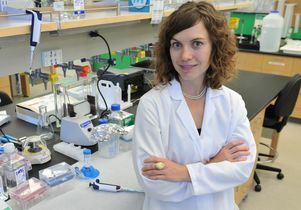 Recently, she and colleagues developed a new method for screening cancer cells.